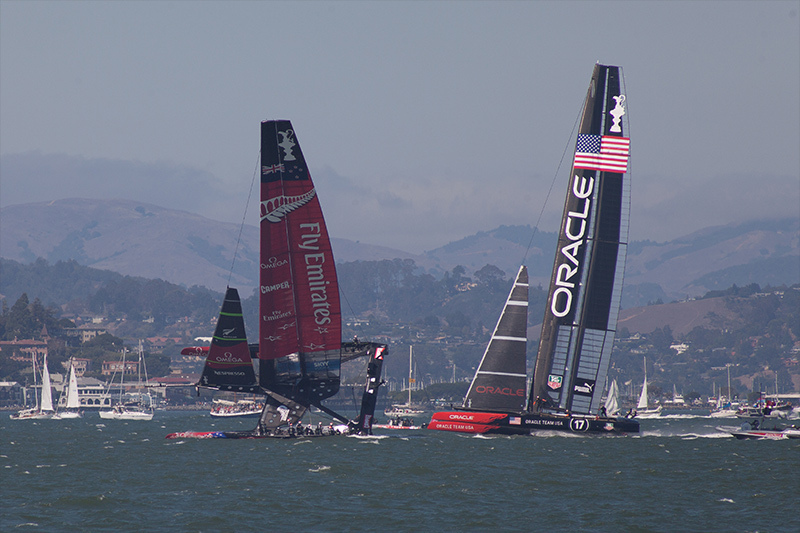 Went down to the waterfront to watch some of the America’s Cup races. Incredible boats! The wind was 22 knots, and the top speed they recorded was 47 knots for the NZ boat, 44 for team USA. 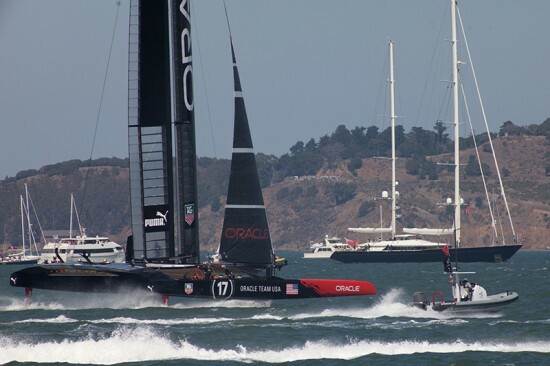 Shows you what hydrofoils and a 130-foot carbon fiber wingsail can do for you. The NZ boat heeled way over taking this tack (gybe? I’m not a sailor) and nearly capsized. 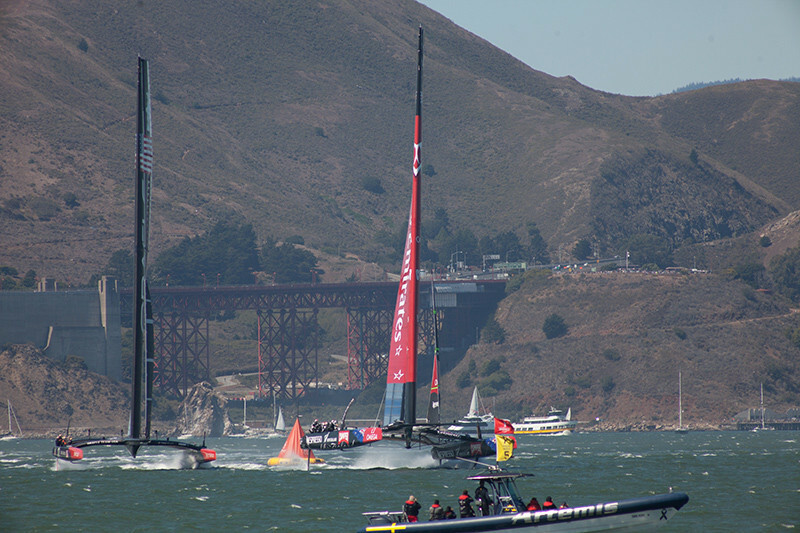 On the radio you could hear the crew yelling to kill the hydraulic pressure on the sail so the boat would stop lifting. Shot these handheld with the Tele-Takumar 400/5.6 at about f/8-11, 1/1000s. The lens is really wonderfully sharp, so I think the slight haze you see is actually atmospheric, not optical. In the shot of the boat on its side, they’re something like 3-4km away.